Kumara Swamy a former scientist turned socio-political activist started a Telugu editorial called ”TholiPaluku” – Focussed on covering important news in the interest of public which is generally avoided by mainstream media. 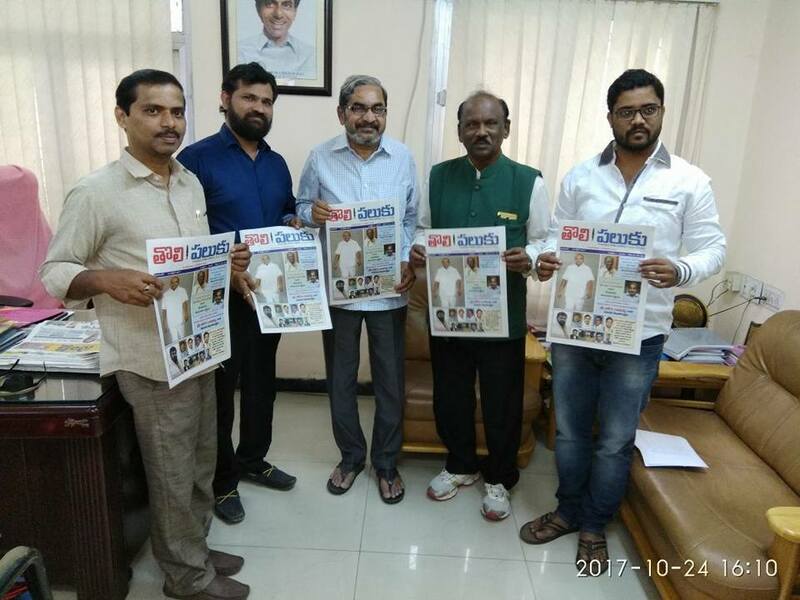 The First Edition of TholiPaluku was launched by Media Academy of Telangana chairman Shri Allam Narayana garu, Ex-Mla Shri Gunda Mallesh. When asked about the how the funding happens to run TholiPaluku if it is not commercialized, Mr.Kumar said that he is passionate to provide the right information to the public and monetary rewards are not his primary motivational factors. We wish Mr. Kumar All the best.